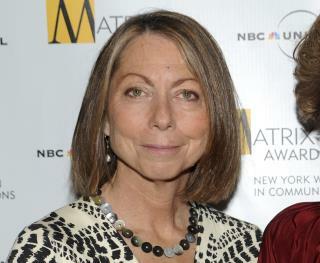 (Newser) – Former New York Times executive editor Jill Abramson is facing allegations that she lifted material from other sources for her new book, Merchants of Truth. She and her publisher are promising to investigate, reports the AP. A Twitter thread posted Wednesday by Vice correspondent Michael Moynihan lists several examples of passages that closely resemble material in the New Yorker, Time Out, the Columbia Journalism Review, and other publications. Released this week and praised by Walter Isaacson and Gay Talese among others, Merchants of Truth is a critique of the news business focused on two long-running newspapers, the Times and the Washington Post, along with Vice and fellow digital company BuzzFeed. She of all people should know that it's plagerism if I read your words and think they are your words and ideas while I'm reading it. A footnote isn't supposed to tell me that that's not your idea or words. "According to so and so in their article of whatever--blah, blah, blah" is how no one confuses your ideas or words with another's. A footnote is too late and if you don't want to constantly refer to others in your text--then don't wonder why some people see that as plagiarizing. Course, nothing like free advertising through controversy. Corporate propaganda is fighting with one another? Great news.